Musanda's opinion: Old Leaders: And the endless Chronicles Of Public Sleeping. Africa is a continent of so many talents and you have to be a concerned African to know some of the unusual talents that our renowned leaders have, therefore it is the duty of this article to illustrate some of the talents our leaders possess, though my main focus will be the sleeping sickness that has engulfed our old leaders' lives. Our old leaders seem to possess a trait that is common, but shameful and makes most of us wonder if in did the own homes that have beds since most times they are caught dozing at public event or maybe our old leaders are too spiritual such that they are always communicating to a spiritual being through the comfort of closed eyes and a moment of silence in dream land. Africa as a continent has passed through a lot of phases and if am not mistaken one of the many reasons that encouraged the scramble of Africa in 18th century by European powers was the mystery behind the name 'Dark continent' and greed though the Europeans may argue out the latter reason under the pretense of 'Age of discovery'. And I assume the sadden 21st century scramble for Africa is due to the continent's new identity which is 'Continent of Sleep' which has been portrayed and proven by most African leaders. And it’s important to realize that Africa’s syndrome of sleep can be traced back to the 1960s when Nigerian first United Nations (UN) Ambassador Jaja Wachukwu shocked the world by his wonderful talent of sleeping at a meeting in New York of heads of state in October 16th 1960. Furthermore, to most Ambassador Wachukwu may seem not to be the perfect example, but I believe the Ambassador's weakness of sleeping in public exposes and characterizes the kind of leaders we have on the continent. In other words, Ambassador Wachukwu gesture of sleeping is what is called 'sleeping on duty “in lay man language and its shocking how the Wachukwu gesture is still haunting down African leaders even after 55 years of its occurrence. Even though, Wachukwu may seem to be the pioneer, it’s important to understand that the ambassador was just a beginner because his bosses such as Robert Mugabe and Yoweri Museveni are experts in the department of sleeping in public. 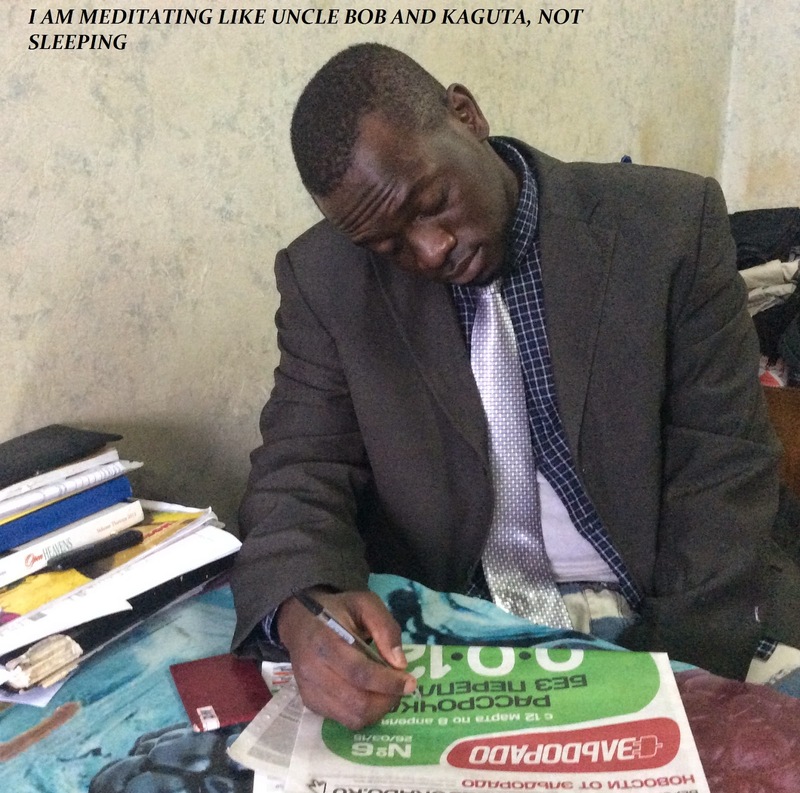 For Mugabe and Yoweri have continued sleeping at public events when pressing issues affecting the well-being of citizens are been discussed and unbelievably deny of the sleeping but insist they were meditating. Not long ago, Mugabe was fast asleep during a dinner that was held in his honor after becoming chairman of the African Union (AU) while Museveni's entourage of senior government officials which included second Deputy Prime Minister Moses Ali were flat asleep while listening to the state of the nation address and budget speech. With the above situation in mind, I am reminded by a saying by Desmond Tutu and I court, 'When the missionaries came to Africa they had the Bible and we had the land. They said let us pray. We closed our eyes. When we opened them we had the Bible and they had the land' at this moment I believe if our leaders continue with this sleeping at important events a repeat of history might occur at the expense of ordinary Africans. For our leaders are fountains of honor indeed, hence to protect they dignity it’s important to encourage them to sleep at their own time and space since taxpayers pay for they accommodation, for the public is not a sleeping place, but a place of serious business.